As hard as it is for some South Australians to admit, the state tends to remain peripheral to federal elections and politics. Ironically, this is a growing problem as the overall number of federal seats in SA is culled from 11 to 10. At the last three federal elections, very few seats have changed hands in SA (two in 2016, one in 2013, and zero in 2010), and none of the results have directly impacted overall national outcomes. This makes the Mayo by election all the more intriguing, and does tell us something more broadly about Australian politics. If we look at Mayo at long distance (through a telescope) and close up (under a microscope) we see the wider flux in Australia’s polity. A spread of high profile support for Georgina Downer. Through the telescope, Mayo reflects some broader structural changes. 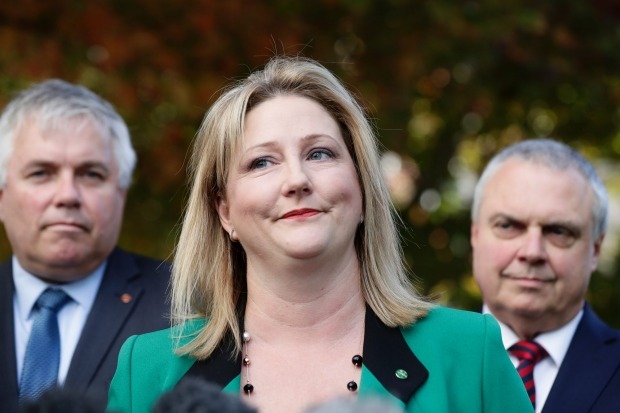 The current campaign is a two-way fight between incumbent Rebekha Sharkie of the Centre Alliance, who won the seat in 2016, and Liberals challenger Georgina Downer. In majoritarian electoral systems, minor parties tend to lose out. Yet at the last election the vote for minors was at a record high, and the number of “lifetime” voters for the major parties has fallen dramatically. Sharkie might well capitalise on this wider change, as voters shift away from the major parties. More locally, the lack of seats won at the last state election obscures the long-standing support for Nick Xenophon’s team. Strikingly, prominent independents like Andrew Wilkie have flown in to help the Sharkie campaign. Second, if Downer does not win the seat, then this might reflect the current fraying of centre-right politics in Australia. Arguably, the Coalition and the centre-right more generally have not been unified since Georgina’s father Alexander was a front-bench minister during the 2000s. Current polling has Sharkie on course to retain the seat, and Georgina Downer left with little to celebrate. The leadership changes, Tony Abbot’s “helpful” policy interventions, the breakaway of Cory Bernardi, the fracturing of Family First, the disappearance and reappearance of Clive Palmer, and the travails of One Nation seem to reflect a fragmentation of the centre-right. In some senses, Georgina Downer, a former research fellow with the conservative Institute of Public Affairs, might well be the “wrong” kind of Liberal for Mayo. Through the microscope, there are grounds to see Downer’s candidacy as lacking broader electoral appeal. Key insights into Mayo arise from some focus groups undertaken by researchers from the University of Canberra. 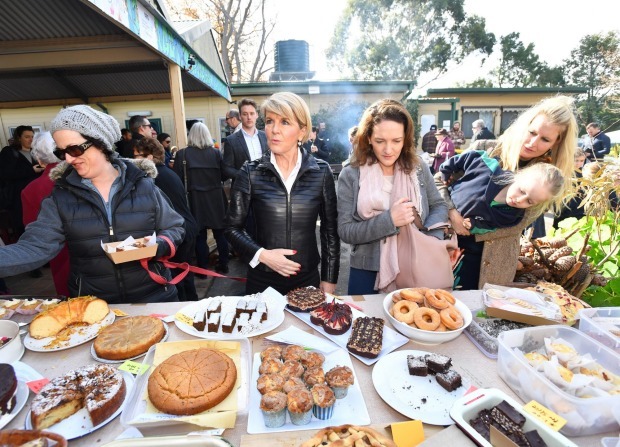 The research shows a “tale of two Mayo’s – one solidly blue ribbon Liberal and the other reflecting the “new” Mayo, especially in growing towns like Mount Barker. Mayo is often called “safe Liberal” but is more accurately described as “safe non-Labor”. Despite historic Liberal dominance of the seat, including Alexander Downer for 24 years, the Liberals almost lost the seat to the Democrats and then the Greens. Downer is perceived as part of that wider elite and enmeshed in the Liberal hierarchy. Downer clearly sees this as a virtue, and secured a number of high-profile visits. Ironically, the focus group research shows that for many in Mayo it is Sharkie’s independence from government that might extract greater leverage for the seat. The campaign is a curious mixture of local and national issues. Sharkie is also tapping into deep-rooted environmental concerns across the constituency, and has stridently pushed to have the Great Australian Bight listed as a World Heritage site to fend off offshore drilling. Sharkie sees the environment as a strength for her and a weakness for Downer. Georgina Downer did not appear at a local climate action forum in Aldgate, and her conservative views were aired in a newspaper article when she hailed Donald Trump’s victory as a win over the environmental movement’s “fatwa against carbon”. Deleting her Twitter account, Downer might well be seeking to ensure her opponents are not gifted any more controversial claims. Strikingly, Downer has raised the issue of immigration – raising fears that Sharkie supports weakening the government’s strong border policy. These comments play into local fears that the federally owned site at Inverbrackie might be re-opened under a Labor government for onshore processing and detention. Downer faces wider structural problems, but also the local difficulties in selling the achievements of the Turnbull government, whilst balancing her own views. More widely, Mayo raises more questions than answers for the centre-right side of politics; and how the Turnbull government can re-gain wider support. Rob Manwaring is a senior lecturer in the School of Business, Law, and Government at Flinders University.